Four oversized tales that will rock the Avengers' world! 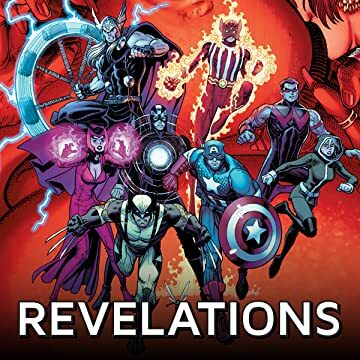 First, learn how a devastating defeat in Thanos' past will soon redefine the Marvel Universe as the Mad Titan faces Mephisto, his future self, the Avengers and more! 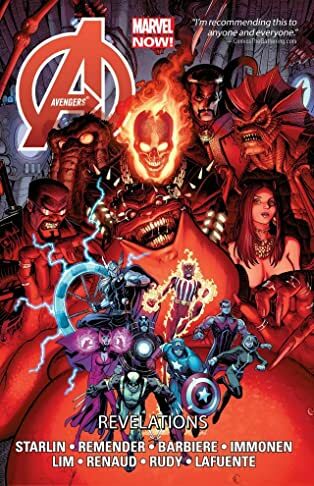 Then, can the Uncanny Avengers survive the wrath of an unleashed Spirit of Vengeance and the all-new, all-creepy Avengers of the Supernatural? Meanwhile, when Stephen Strange is called upon to fulfill an old debt to an enclave of Himalayan techno-monks, even the good doctor may be beyond his limits! Finally, it's Christmas Eve in Avengers Tower. All is calm outside, but it's an avalanche of mayhem inside as an intruder turns the Avengers' own headquarters against them!